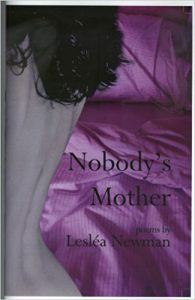 Lesléa Newman’s long-awaited new poetry collection, explores themes such as mother/daughter relationships, other family-of-origin relationships, Jewish identity, aging, loss, and self-acceptance. The poems are told in an accessible style with the same vivid use of imagery, language, and humor as the poet’s previous work. All with a feminist twist, of course! Some of the poems have been previously published in Lilith Magazine, Cimmaron Review, Salamander, The Sun, and Bark. Others have won such honors as being named finalists in the Pablo Neruda Prize for Poetry (2007) and the Sow’s Ears Poetry Review Contest (2007). Lesléa Newman has had the honor of being Poet Laureate of Northampton, Massachusetts.